A month and a half ago, I was invited to yet another product launch at the local Body Shop (flagship store in Fairline Building) and it was in the middle of the Mercedes Benz Fashion Runways too. Somehow I managed to squeeze visiting the launch into my busy fashion week schedule, and I wasn’t disappointed! It was one of those days when Colombo weather decides to pour down every 5 minutes, but the beautiful pink deco inside the shop was so warming to us invitees that we immediately forgot about the gloom outside. 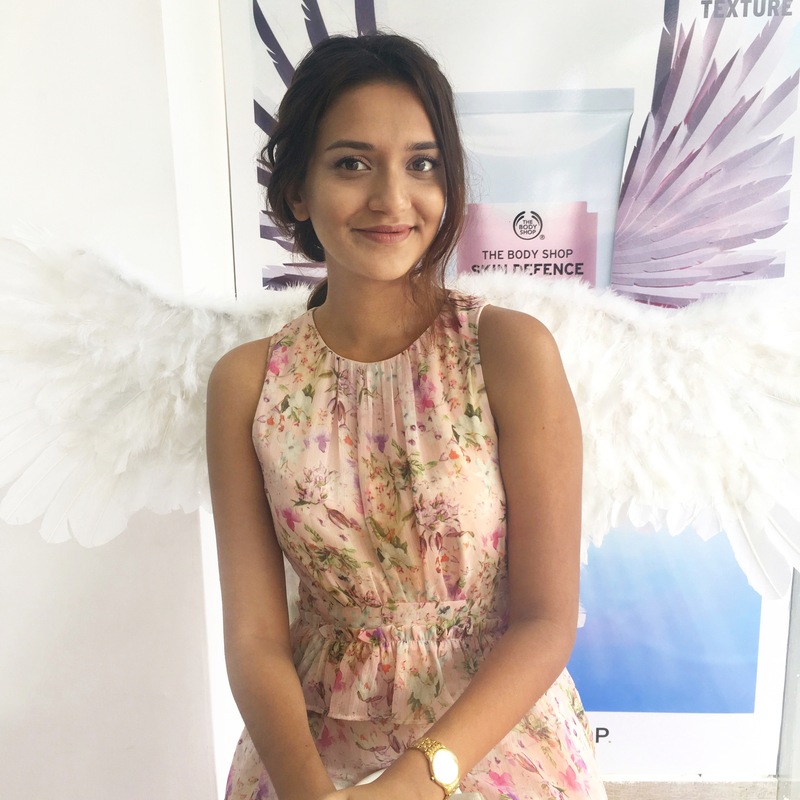 On one corner there was a chair with huge angel wings that propped as a Photo Booth, where everyone could strike a happy pose with the newly launched product in their hands. After a brief introduction to The Body Shop Skin Defence Multi-protection (their version of sun protection cream) we were given some delicious pink cupcakes and pink macaroons with matching pink guava & strawberry drink! 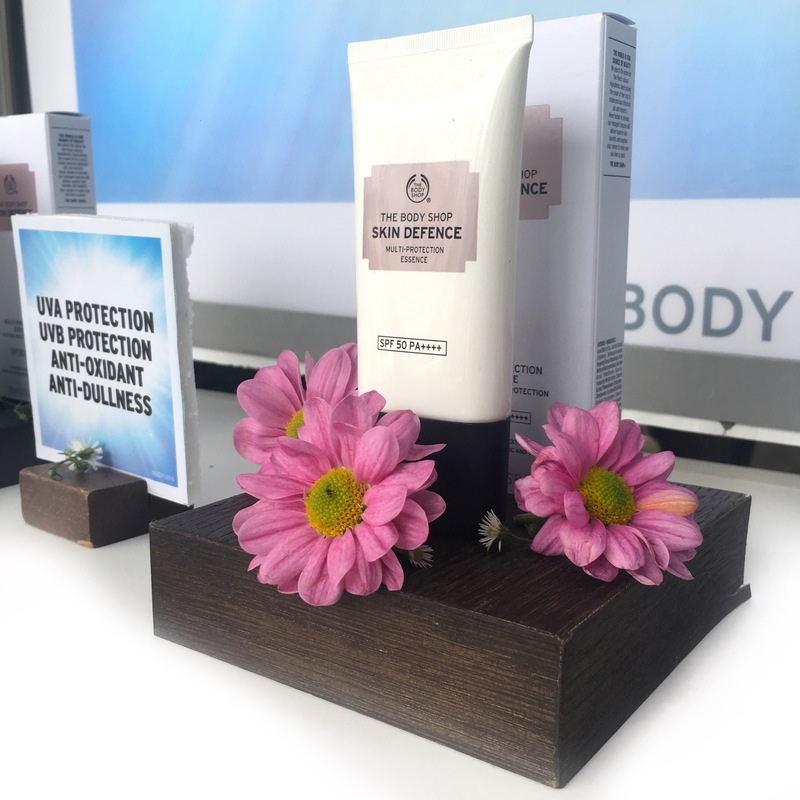 The product boasts of having several anti-oxidants to help protect skin from not only the harmful UV rays, but other environmental pollution that we face every day. Living more than half my time in Colombo, where fresh air is scarce and harsh sunlight is plentiful, this product sounds amazing for daily wear. It also contains red-algae and Vitamin C to brighten your complexion. It’s very lightweight. It’s one of the lightest sun creams I’ve used. It’s makeup-friendly. You can load up your makeup game on top of this and there’s no difference!